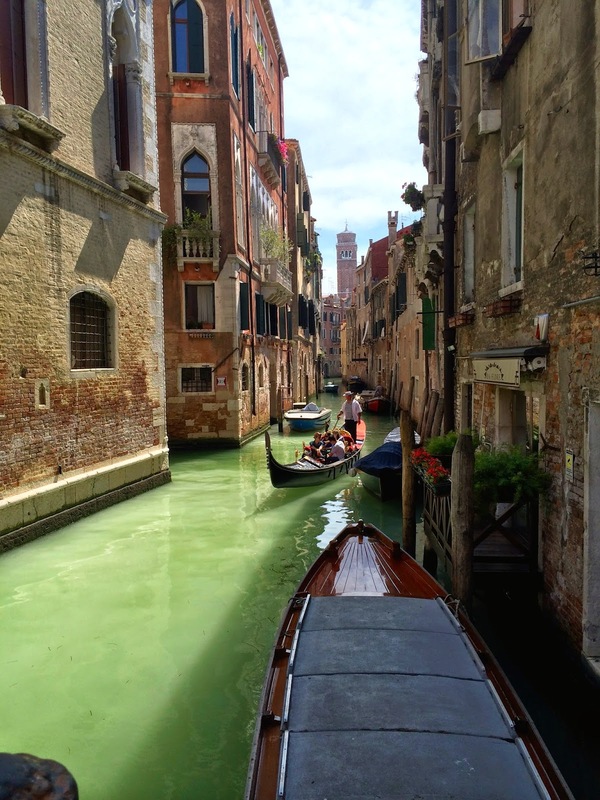 The second stop on our summer adventure was Venice, a city I've been dying to see for a while now. It's a short train ride from Milan (though we traveled from Rome), and while it's incredible enough to spend a month visiting, it's also the perfect destination for a weekend getaway. 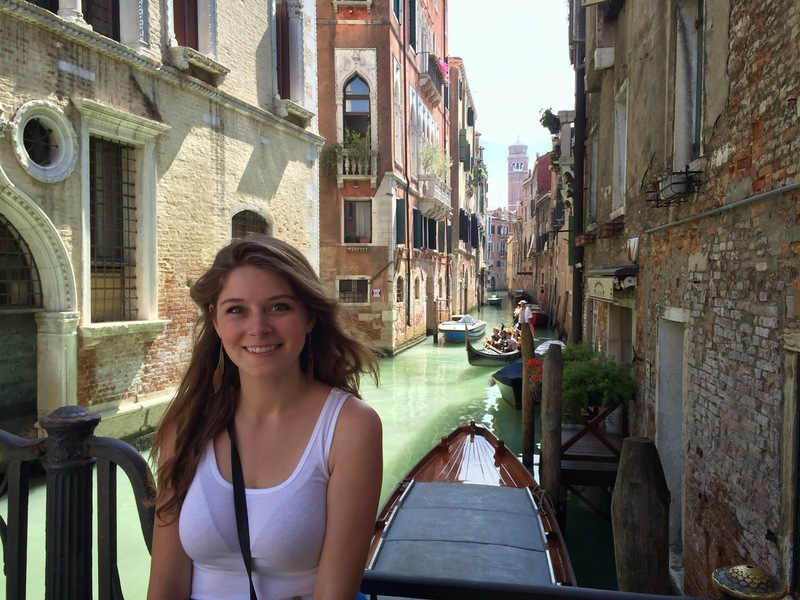 Holly and I fell completely, head-over-heels in love with Venice. 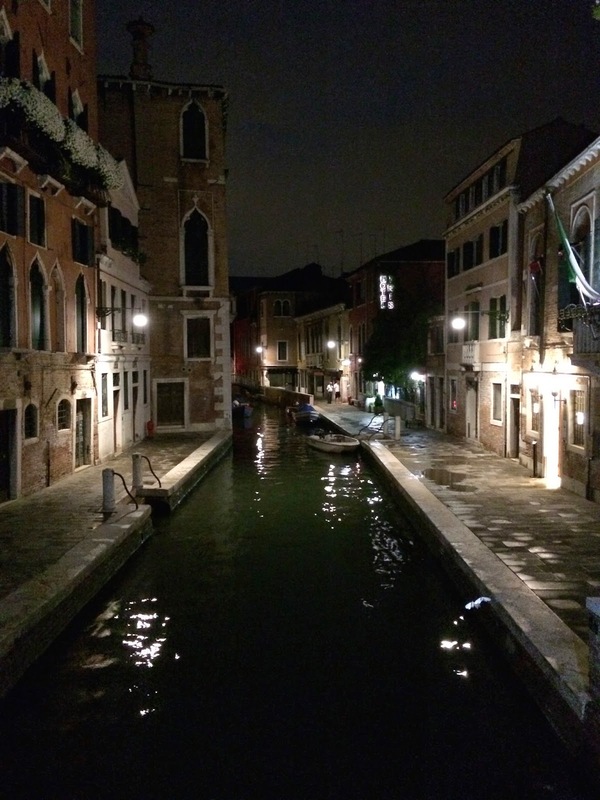 The hotel we booked was located perfectly, across the Grand Canal from the train station. 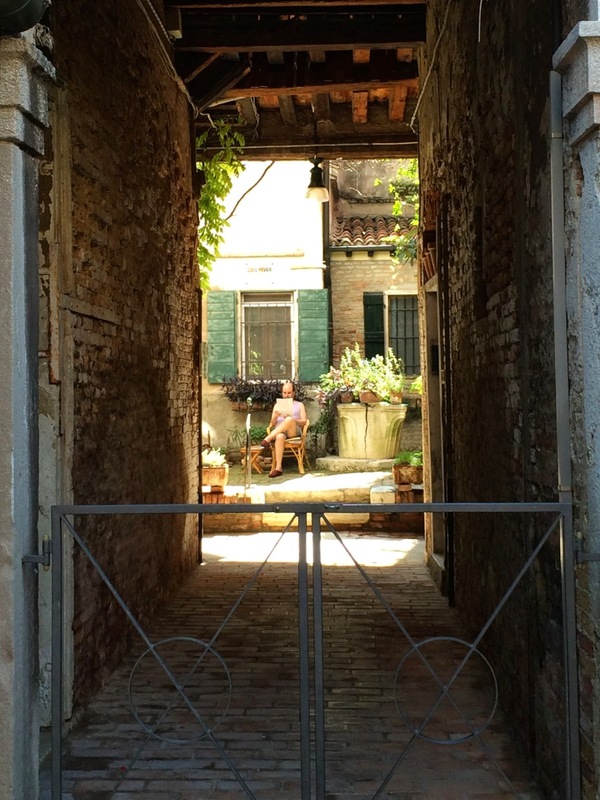 It was super easy to find, but just a turn away the maze of tiny streets and canals that we couldn't get enough of. One of the first things we noticed was that there are truly no cars; everyone traveled by boat. The taxis, the police, the garbage and construction vehicles were all boats! We heard a siren at one point when we weren't next to the canal to see it go by, but assumed that even ambulances were boats. Craziness! I've said it before, but wandering is one of my absolute favorite things to do while traveling. 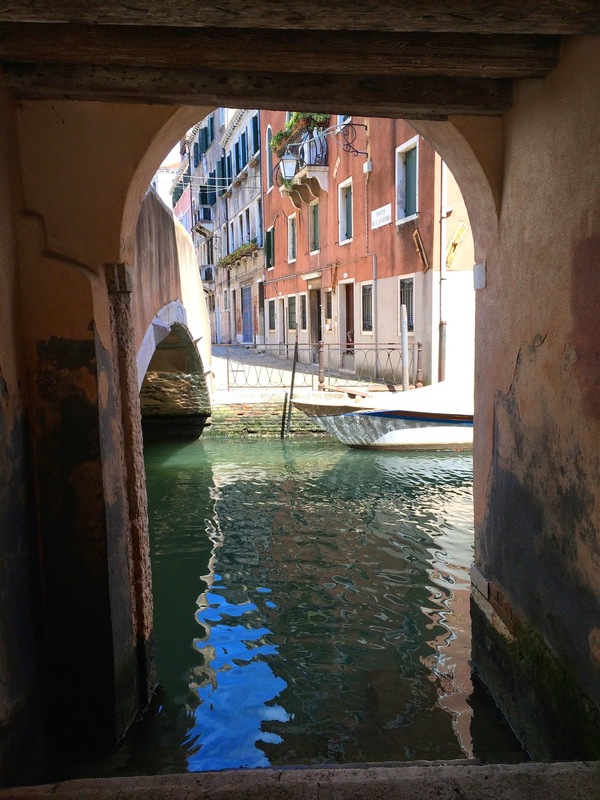 Venice is truly a labyrinth, with a billion little streets, bridges, and dead ends to get lost in. *Side note: because my students all learned English as a second language, the translations were often more sophisticated than your average 9 year old's vocabulary. When telling me about their birthday parties at a laser tag facility they'd often discuss the 'labyrinth' that you navigate through as you play. Hehe cutie pies. 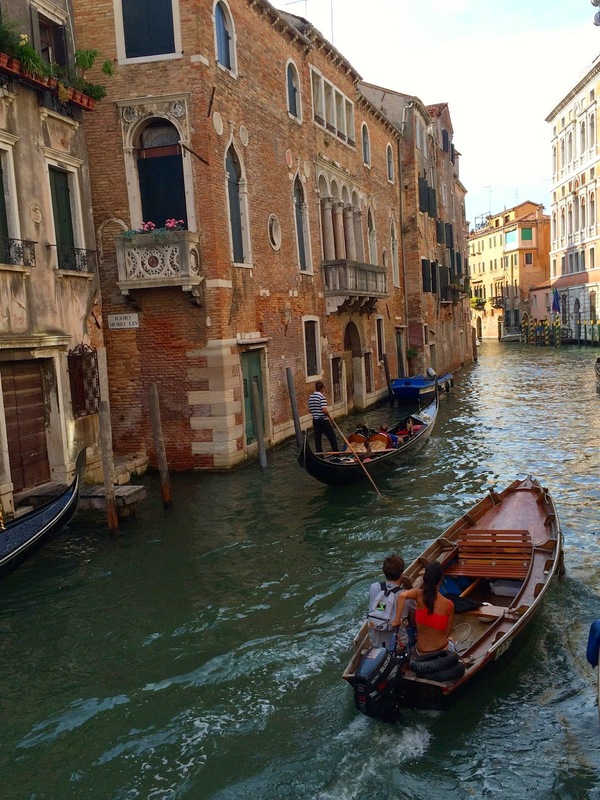 * Venice, like Florence, is one of those cities where we'd be admiring the view only to look back and see that what was behind us was even more incredible. I'm not sure how to even begin describing it. 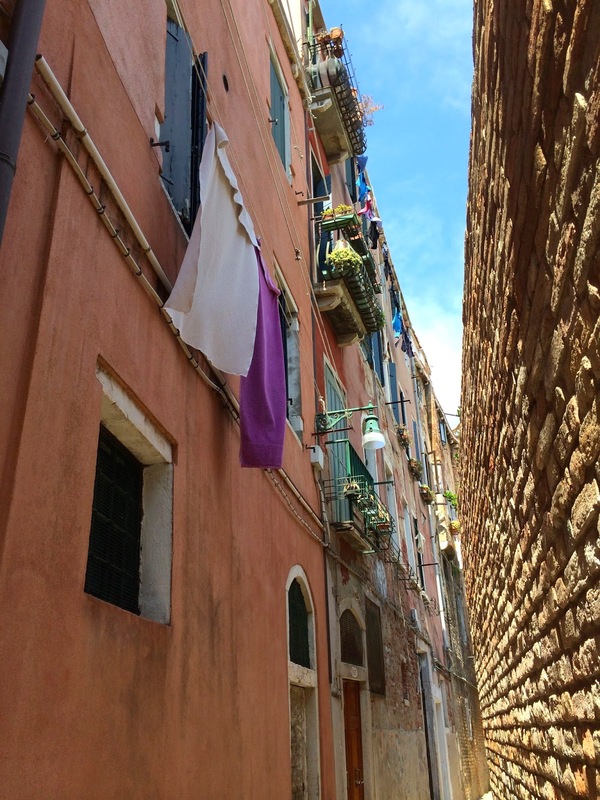 The peacefully still canals, the waterlines creeping up the old buildings, the colorful flower boxes in each window, and the cobble stoned streets make Venice the perfect city to wander until you have absolutely no clue where you are. 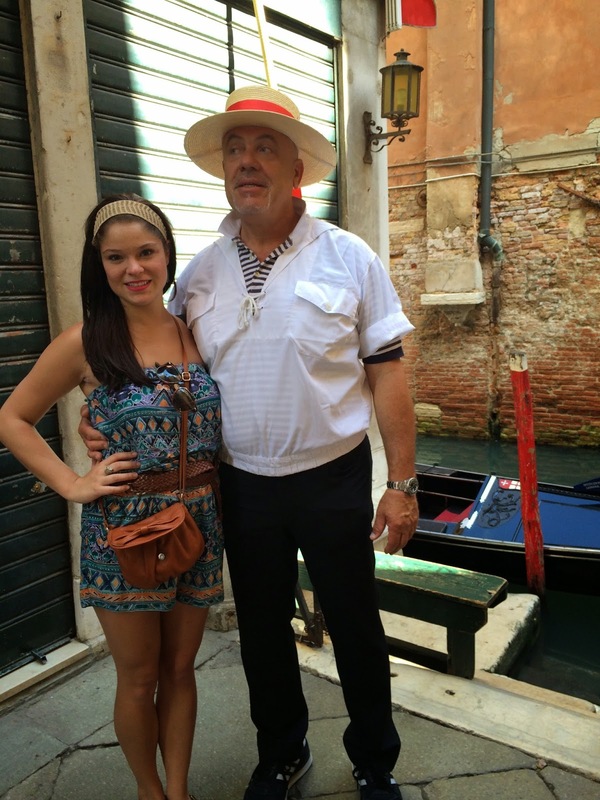 Interestingly, Holly and I didn't have any of the complaints many tourists have visiting Venice in peak tourist season. Maybe it could have something to do with growing up around lakes, but it didn't smell awful like I'd heard it would. The only place we felt was too crowded was right around San Marco's. 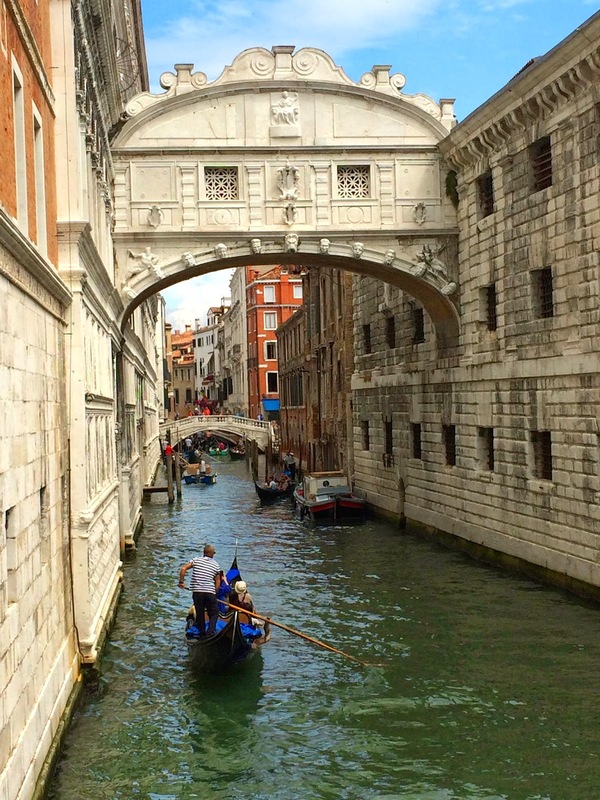 Seeing the Bridge of Sighs was cool, and I'm again embarrassed about my lack of travel knowledge. I had thought the the 'sigh' part of the name came from travelers sighing in appreciation of the view from the bridge. That's partially true in that hundreds of years ago prisoners were moved between buildings on this bridge, and they would often sigh as they caught their last view of Venice through the windows before their incarceration. The area was beautiful, and I definitely will be doing some reading up on the history (I know, I know- I really need to do my reading before traveling), but we didn't stick around there long and instead kept to the relatively empty little alleyways. 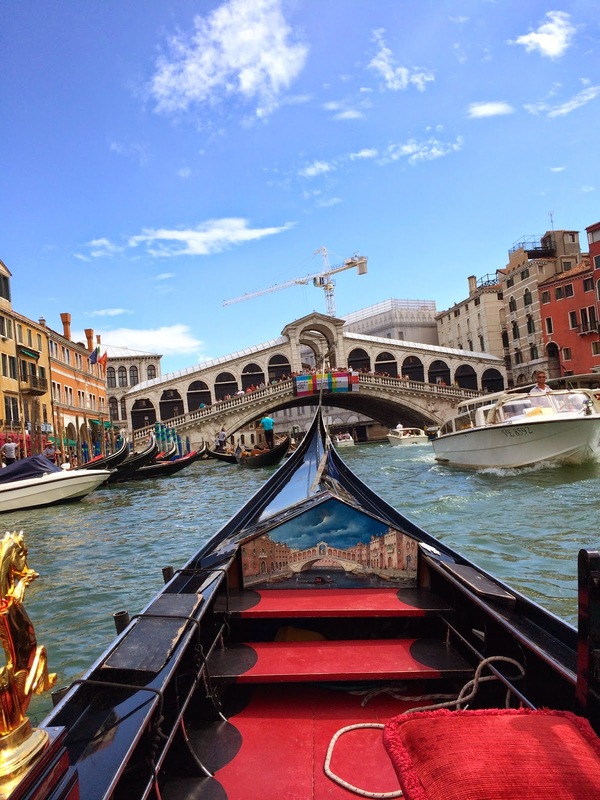 We took a ride on a gondola, and it was definitely worth the price. The view from the boat was beautiful, and our gondolier was full of interesting little details on each landmark we passed, as well as Venice in general. He was very proud of his boat, and seemed to be friends with everyone we rowed past. My teacher side is coming out again: one of the most exciting moment of the trip was when he nonchalantly pointed out Marco Polo's house from the water. We spent a long time learning about exploration this year, and Marco Polo was one of our biggest focuses I'm class... *insert high-pitched squeal of excitement here!! * The most amazing part was that it just blended in with the surrounding houses. If he was born in 1254, that makes his house at least 760 years old, but it didn't look out of place or any more like a historical landmark than the others. We also passed Casanova's house. Crazy. Embarrassing, hilarious, & so much fun! Unfortunately for us the forecast called for rain during our brief stay. However, luck was on our side and the storm lasted for about two hours in the evening, and we headed right back out afterwards. It was dark at that point, and the street lights shining on the wet cobblestones added a very ethereal feel to the already magical city. 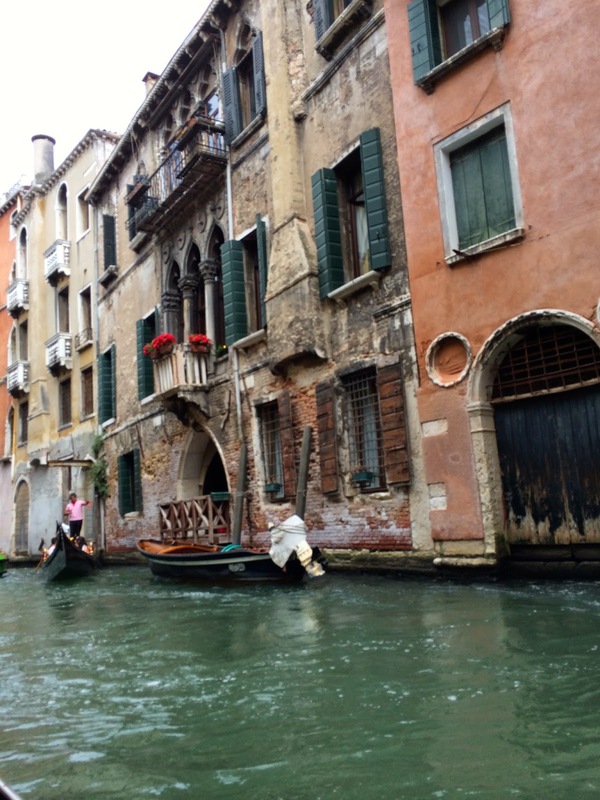 We did some more wandering, and when we heard some music playing across the Grand Canal went searching for its source. 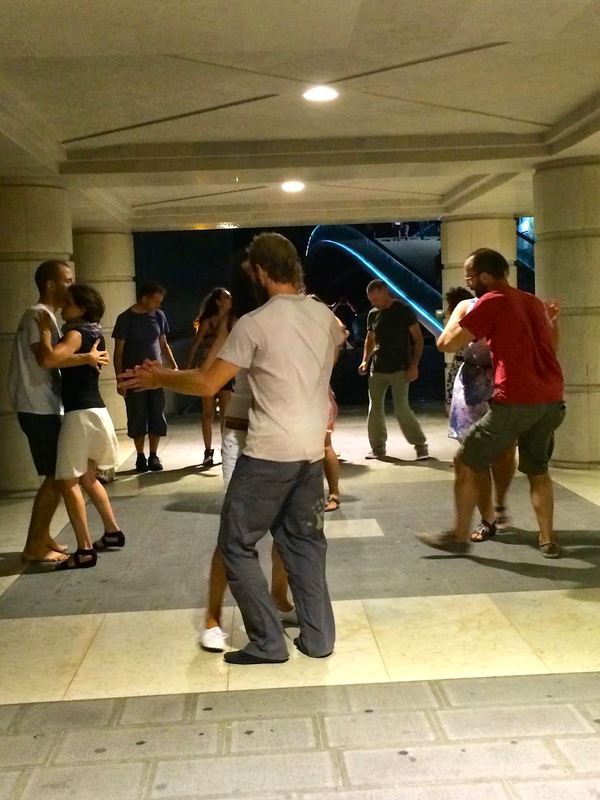 It turned out to belong to a group of locals who meet each week to learn new dances. One of the men asked us to join in, saying that they learn dances from all over the world and practice in public in order to meet new people. We learned an Israeli dance that looked simple but took me forever to get the hang of. After finally remembering which foot to cross over and when to take the small tippy toe steps, I was very proud of myself. That is I was until I looked up from the guy next to me's feet at the graceful girl to his left and realized I dance like a broken robot. A French three-step dance came on next and I'm pretty sure I was worse at that one. But no matter- it was such a fun, spontaneous experience and from now on I'll always seek out the music! 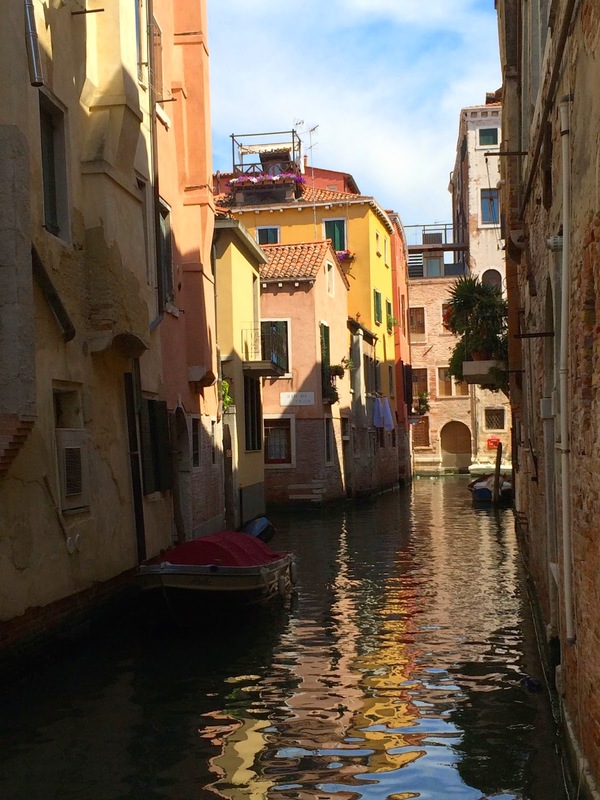 Next time (it's pretty cool to be able to say next time and feel confident that there will be a next time), I definitely want to go inside San Marco's, the Da Vinci museum, and take a trip over to the island of Murano for a glassblowing demonstration. As for souvenirs, Venice is full of carnavale masks and figurines made from both beautiful Murano and cheap imitation glass. I loved all of the ornate clocks we kept seeing and bought a lovely little sundial, as well as little glass candy pieces that now fill a dish on my coffee table. Something for the grandchildren to play with :) Holly and I are now on a train to Nice, which should be nice (haha I'm so funny). I'm looking forward to Old Town, rosé wine, and combing Pebble Beach for sea glass. Hehehe I love Reading your stories. Good thing that are travelling a lot now is that you post more often tan you did before. 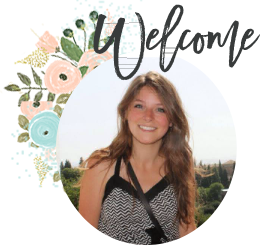 I kind of know that you do the blog as a dairy for yourself, but still, for other people like me, it is fileld with fun facts, stories and pictures that just give me a nice break during the day. Pretty please, keep up the writting! PS2. 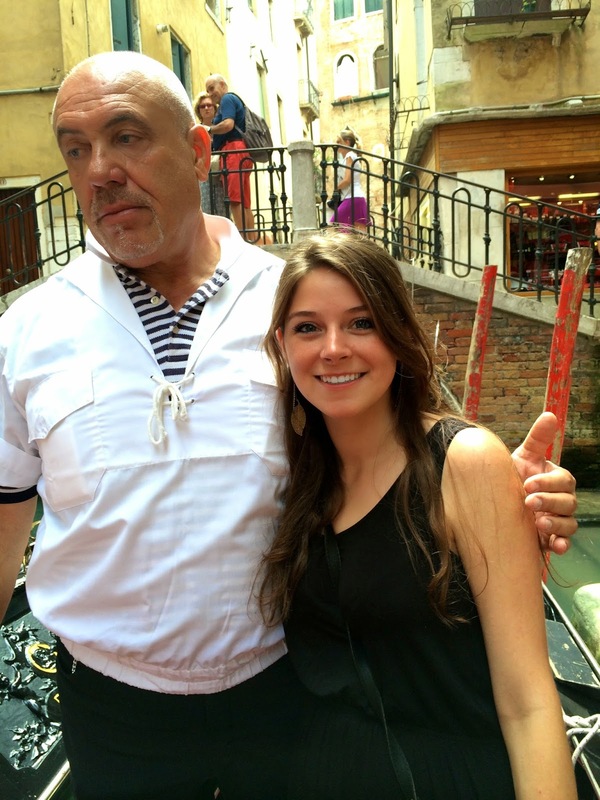 The gondolier, man that face, when I saw it I thought...Well he looks thrileld...and then read the caption, laughed for a while there.